I am sharing an exciting news. Sveta Fotinia is introducing Clean and Simple style to her followers through her blog. I have been featured as a CAS Muse at My Scrap Ru Blog. it is an honor. Thank you Sveta! Here is a sneak peek of my card for the challenge. There is an interview as well as a sketch challenge. Check it out, HERE. Congrats Gayatri ! 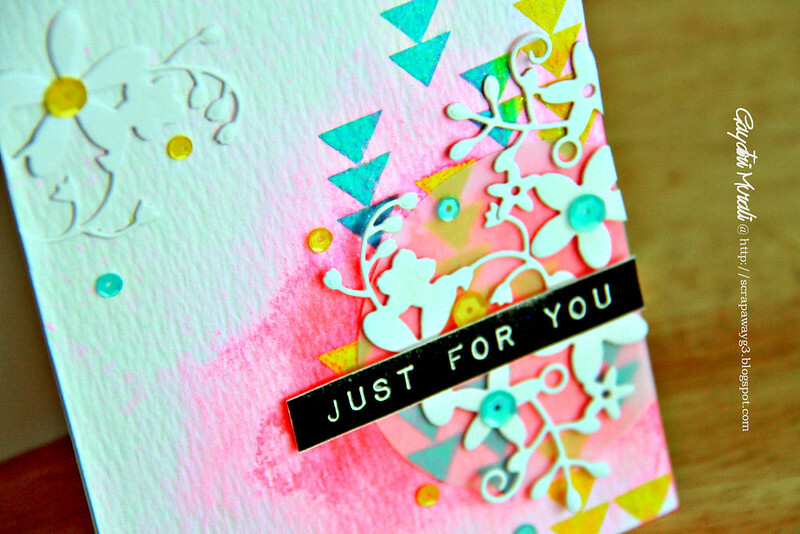 I am loving the bright colors on your card ! congrats Gayatri!! your card is very beautiful!! Beautiful card Gayatri and also congrats on joining the Simon Says team. Cant wait to see your input there. Dear Gayatri, we are soo glad you accepted our invitation!!! thanks!